This week’s C What’s On features something I’ll bet most of you have never experienced…Skijoring. Hint: It involves horses, alpine skiers, and an oval track. 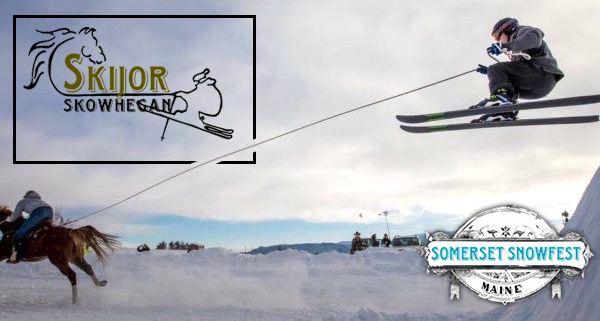 You can find out more by listening to this interview with Kristina Cannon of Main Street Skowhegan about their upcoming Somerset Snowfest, which takes place February 8–10 and includes an ice-fishing derby, dog sled rides, skating, tubing, and the Northeast’s only equestrian skijoring competition.